A Facebook ad campaign is a great way to promote your products or services. If you haven’t tried it yet, I definitely recommend giving it a go. Their free course will teach you almost everything you need to know. 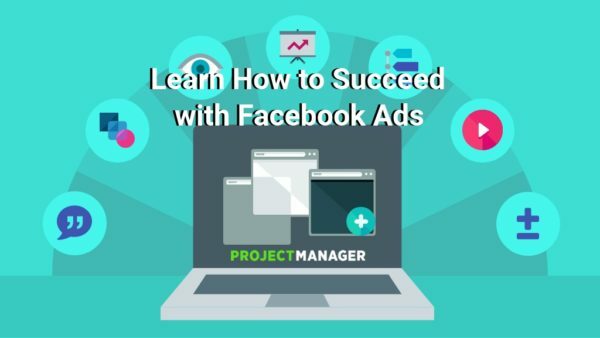 Even though they offer this training, most people start running Facebook ads without any training and hope for the best. Unfortunately, when they don’t see the positive results they expected, they quit and assume Facebook ad campaigns don’t work. In this article I list the common reasons why people fail at Facebook advertising and offer tools, tips and resources to help you increase your chances at success. This is the most common reason why people give up on Facebook advertising. I’ve heard many variations of “I spent $20 and saw no results. It’s not worth it.” This saddens me because Facebook can be very helpful for most businesses. Not everyone has a large budget, but $20 is not enough to gain the data you need to make a decision. Facebook advertising operates using an algorithm. It needs to learn about what you are looking for and about your users. The more data it has, the better it can perform for you. If you implement the tips outlined here, you can feel more comfortable giving your next Facebook ad campaign a little more budget. Within each category are several different objectives. Ideally, you should choose the objective that aligns with your company goal. However, I have a seen a lot of new advertisers choose an objective that was not congruent with their goal. For example, if you’re trying to get people to buy a product on your website, then you would want to do a conversion objective. Instead, new advertisers will try something else like a traffic or engagement campaign. Facebook’s advertising algorithm tries to optimize your campaign based on the objective you select. If you select traffic, then it will show your ad to people likely to visit your website. So if you want people to buy your product, you want it to optimize for conversions. Facebook is able to do this based on a user’s past actions such as clicking and buying. Then it will take this information and apply it to your ad campaign to find the best users to complete your objective, whether that’s lead generation or conversions. As people begin to take your desired action, Facebook will try to find similar users to these people in your audience and show them your ad. Pro-Tip: When you boost a post from your page, it creates an engagement campaign. Visit the Ads Manager to choose the objective you actually need. The targeting options within Facebook’s ad platform are incredible. Everything a user does within the Facebook ecosystem, or even on most websites, is tracked by Facebook. If you like or engage with a page about football, or visit a website about football, Facebook will assume that you like football. If I am promoting an ad about football, Facebook will probably show you my ad. If your particular Facebook ad campaign failed, take a look at your targeting. Did you target the wrong audience, or did you go too broad? An example of going too broad would be targeting people interested in sports with an ad for football. Not everyone interested in sports will be interested in football. Do some brainstorming, and try to think of your core audience. What gender are they? How old are they? Where do they live? If you know this information, use it to your advantage in your targeting. You don’t want to waste your ad dollars on people that you know won’t be interested in your ad. Something that is really cool about Facebook ads is that you can use inclusions within your targeting. Inclusions will find an overlap between the different audiences you want to target. I can actually use Facebook’s targeting options to find this person very easily. If you want to learn more about what’s possible with the targeting at Facebook, their help article will teach you a lot. Your offer is what you’re promoting with your ad. This can be a free trial of your services or a discount on your products. If you are sure that your targeting is spot on, but your ad isn’t performing well, it might be your offer. Your offer needs to be good enough to capture your audience’s attention. Which of these would you click on if you saw the following ads for a dentist? You would probably be more interested in the free cleaning. Before you create your next Facebook ad campaign, think about what you can offer to your audience in order to get them interested. A free service? A discount? If you can’t do either of these things, that’s completely okay. You just need to find a way to create your ad in a way that will highlight the value of your offer so that users will complete your desired action. Testing is an absolute necessity with marketing in general. Even the most confident marketers in the world will start new campaigns with different variations to test how well they do with their audience. If you only create one ad, then you’re limiting your chances at success. You should try different variations to find a winner within your Facebook ad campaign, and then you can put more money behind the winner. I try to have at least three variations in each ad set so that I can learn from the data. A pixel is a piece of code that you can add to your website to send data back to Facebook. This data will help Facebook learn about what your users are doing on your site. A conversion pixel is the tracking code you put on the page that users see after they complete your desired actions. This would be the “Thank You” or “Order Confirmation” page. Facebook cannot optimize for conversions if you are not telling it who is converting on your website. To install the pixel, you will first need to create it within Facebook. Within your ads manager, click the hamburger on the top left and click the Pixels link. It will take you to a page to create your pixel. After you create your pixel, Facebook will give you several options to install it. I recommend that you use their wizard to install it on the most popular platforms like Shopify and WordPress. You can also install it yourself, or choose to send the code to your developer. Facebook does something that is really exciting for advertisers. It continues to track your visitors for awhile after they’ve seen your ads. This is called your attribution window. You can tell if someone purchased your product the day they saw your ad or up to 28 days afterwards. If you ran a Facebook ad campaign and shut it off after one day and only saw one sale, you would probably consider it a failure. But what if you check it 28 days later and you noticed that it really had five sales come in? Would you consider it a success then? This delay generally occurs if your offer requires lengthy evaluation or research. Especially if it is a high dollar offer. You will probably get some people that purchase it on day 1, but several more people need to think on it some more before they pull out their credit card. If your business is new and you don’t know the usual time it takes for people to consider your offer, you may not want to rely on delayed attribution. But if you know that your average time to buy is usually 3-5 days, then allow your Facebook ad campaign to run a little before killing it. Pro-Tip: To really capture the people that may be on the fence, show them retargeting ads to bring them back. This can greatly enhance your original campaign. Most of this article has been about what you can do within Facebook. But another huge component to your advertising is your landing page, where you are sending your Facebook traffic. People can’t give you money if your landing page, or site, doesn’t work. Not only do you want to make sure that everything is working smoothly on your website, you also want to make sure it matches up with your offer. If your ad is about football, but the landing page is about soccer, then your campaign will surely fail. How is your page speed? If it’s loading too slowly, many people will leave before it finishes loading. Google’s PageSpeed Insights is a good free tool to check the speed and give recommendations to make it faster. Where on your page do people see your call to action? If they have to scroll for a minute before they see any button, it will hurt your conversion rate. Bring it up as high as possible, as long as it makes sense. Are there any errors on your site? Sometimes you may not see errors on your end, but that doesn’t mean they don’t occur. Check your site’s error logs to see if there’s anything out of the ordinary. Does your site work as intended? If they click a button, make sure it works and goes to the correct location. Can they give you money? Do a few test transactions to make sure that the checkout works properly. There is no singular thing that will tell you if a campaign will be a success. But if you follow all of the tips within this article, you will have a better shot at achieving it. Remember: don’t give up right away. Facebook can be a really good tool to help your business grow. However, if you’ve tried several times and you do decide to give up, consider hiring a consultant or even an expert to manage them for you. Facebook ad campaigns can reap great benefits, but as noted above, if they’re not monitored and tracked then you’re going to miss that opportunity. ProjectManager.com is a cloud-based project management software that allows you to plan, monitor and report on your ad progress in real time. Try it today with our free 30-day trial.